Carrying large amounts of cash into the field to pay seasonal workers increases the risk of theft and fraudulent activities. 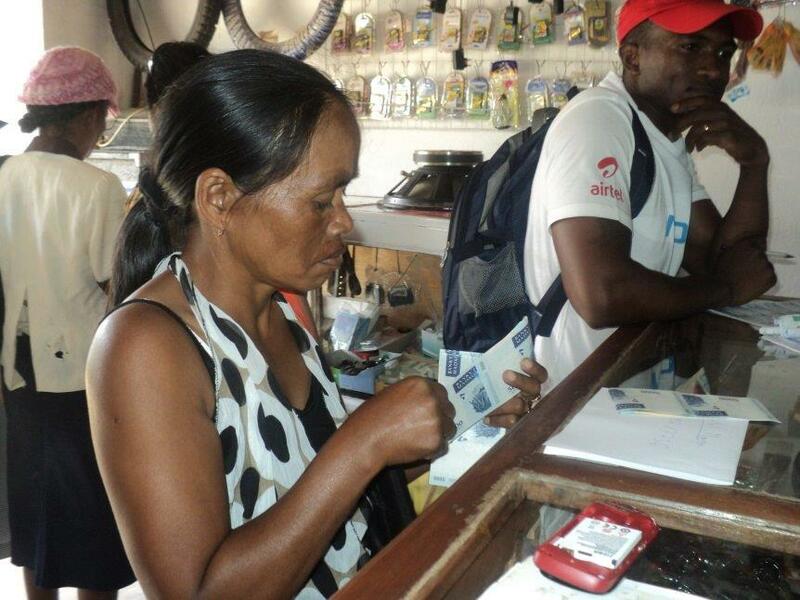 To reduce risk, the President’s Malaria Initiative-funded Africa Indoor Residual Spraying Program (AIRS) in Madagascar piloted an innovative mobile banking system during the 2013-2014 spray campaign to automate payments and reduce risk. Eliminating the need to travel to disburse payments in person not only reduces travel risks but also improves efficiency, transparency and is more cost-effective. Facilitated by a mobile network operator, AIRS paid seasonal workers through a mobile phone SIM card. More than 2,100 seasonal workers without access to conventional bank accounts benefited from risk-free, safe and reliable payments via the mobile banking system. The new payment system also is simpler and safer for seasonal workers, who no longer have to travel extensively to collect their wages. The workers can choose the best time and place to receive their money via their mobile phones. 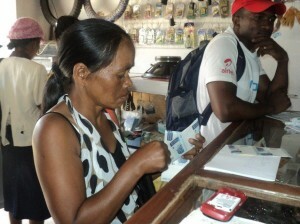 AIRS introduced mobile banking in Madagascar to process payments to seasonal workers. More than $350,000 was transferred during the 2013-2014 spray campaign. Paulinettte Ranivoarisoa was the first to receive payment through the new system. The project pays only 2 to 3 percent of the amount of a fund transfer for cash out fees instead of 5 to 6 percent in fees for staff to travel to deliver payments. A total of $353,956 was transferred via mobile banking during the 2013-2014 spray campaign from which only $4,871 – the equivalent of 1.37% of total funds transferred – went to cover fees. During the 2012-2013 spray campaign the project had spent approximately $22,000 for seasonal finance assistants, who were hired to make cash payments. This position is no longer necessary using the new mobile system, resulting in further savings for the project. Esther Faravavitiana is a seasonal storekeeper for the AIRS project in the commune of Alakamisy in district Anjozorobe. Although she does not have a cell phone like most of her fellow storekeepers, she was trained on mobile banking to securely receive her payments at the nearest cash machine, using her unique pin and protected SIM card. She now uses her SIM card as a savings account and was able to securely transfer part of her salary to her brother in need in the capital city of Antananarivo with the card. Information, Education, and Communication (IEC) Mobilizer Paulinette Ranivoarisoa – at first intimidated by the technology – was the first worker to receive an automated payment through the new system. She said that the new payment method was very good because there was no risk involved. “You get all the money you have been promised,” she said. “It is different from other payment methods in which the money you receive does not even correspond to what was agreed.” Mobile banking offered a great solution to risky cash payments, minimized cases of potential fraud in Madagascar, and ensured receipt by seasonal workers, who may be otherwise limited by traditional banking and payments.